If your horizons are wide and you want the sky to be the limit, then joining the booming travel industry could be the perfect career option for you. Our tourism qualifications provide learners with the expertise and knowledge to work for a travel organisation or for their own business, whether you want to be on the front line of travel, or to make the jump into a senior or management position. 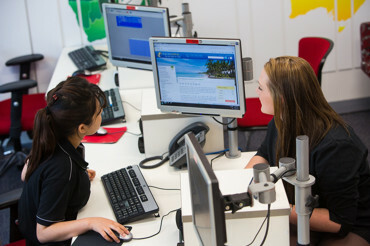 CIT’s training facilities include a live travel agency, allowing participants to train using industry-standard computerised reservation systems and to gain experience in an environment that is transferrable to an agency, airline or wholesale travel setting. Beyond Certificate III level, CIT’s tourism courses place an emphasis on sound business and managerial techniques, designed to help you rise through the industry by coordinating product development activities, marketing products and leading teams. Learners develop a competitive edge within the industry, judging global tourism trends and managing the business of a travel agency accordingly. In addition, learners develop wide-ranging, specialised managerial skills, allowing them to work independently and be responsible for making a range of strategic business decisions. Description: This unit describes the performance outcomes, skills and knowledge required to proactively sell tourism, travel, hospitality or event products. It requires the ability to identify specific customer needs, suggest a range of products to meet those needs, provide current and accurate product information and close the sale. The unit only covers sales skills and not related product and destination knowledge which is covered in other units. The product can include any international or domestic product sold by any tourism, travel, hospitality, or event organisation. The organisation could be a principal (the supplier) or an agent selling products on behalf of the principal. The sale may be made for a single product or multiple products making up a complete package or itinerary. This unit applies to frontline sales or operations personnel who operate with some level of independence and under limited supervision. 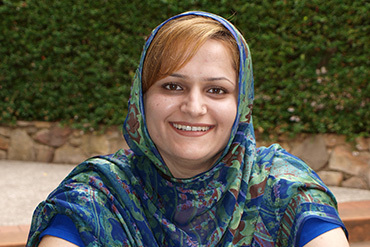 This includes travel consultants, inbound tour coordinators, visitor information officers, account managers for professional conference organisers, event coordinators, tour guides, restaurant managers, banquet coordinators or managers, resort activities coordinators, tour desk officers, reservations sales agents, and owner-operators of tourism organisations. The sale of travel and tourism products is subject to specific regulations under several federal and state or territory pieces of legislation: Personnel selling travel insurance to a client must meet the requirements of the Financial Services Reform Act (2001); Inbound tour operators (ITOs), irrespective of their location, selling tours that operate within Queensland are subject to the Queensland Tourism Services Act (2003). They must register with the Queensland Office of Fair Trading. This law also applies to tour guides residing anywhere in Australia when working in Queensland and selling local products. ITO personnel and guides do not need to meet any training or certification requirements. Description: This unit describes the performance outcomes, skills and knowledge required to incorporate safe work practices into all workplace activities. It requires the ability to follow predetermined health, safety and security procedures and to participate in organisational work health and safety management practices. Description: This unit describes the performance outcomes, skills and knowledge required to create flight itineraries and construct promotional or 'special' international airfares. It requires the ability to interpret flight information and conditions applicable to specific fares and to construct airfares that meet customer needs according to International Air Transport Association (IATA) regulations. The unit applies to tourism or travel industry organisations that sell international airfares such as travel agencies, tour wholesalers, airlines and consolidators. It applies to frontline sales and operations personnel who operate with some level of independence and under limited supervision. This includes travel consultants and managers, ticketing consultants, airline and consolidator ticketing officers, and reservations and operations consultants.